The ROG Phone Becomes Official, and it’s the Fastest Phone in the Planet! 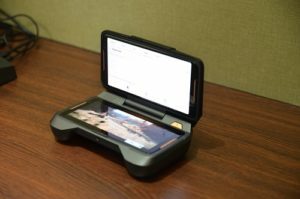 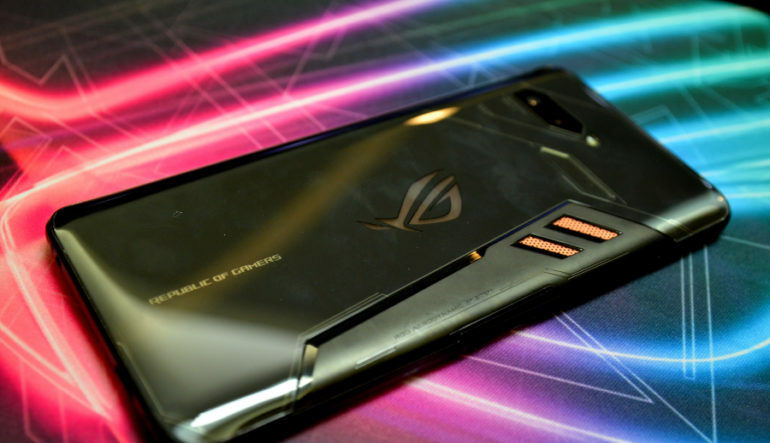 In some of our previous interviews with ASUS Global CEO Mr. Jerry Shen and other executives, we asked about the possibility of coming up with an ROG Phone. 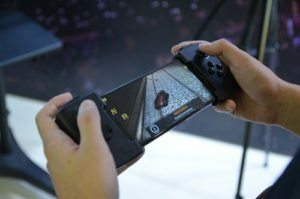 They kinda teased us about the idea but we thought it wouldn’t happen within two years since we first asked that question. 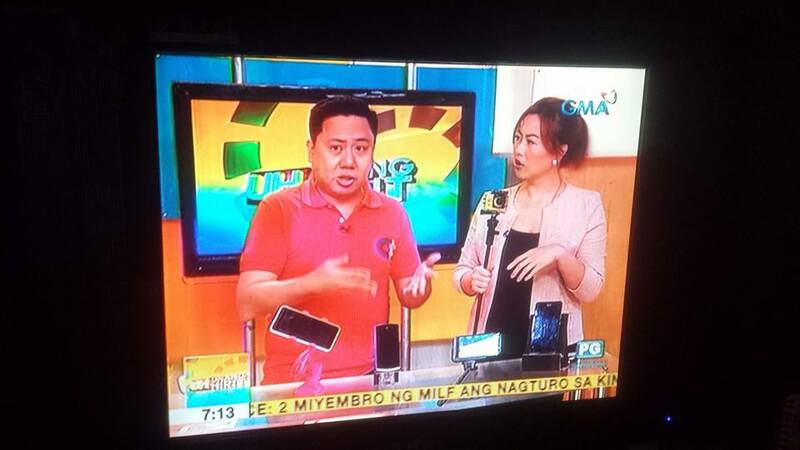 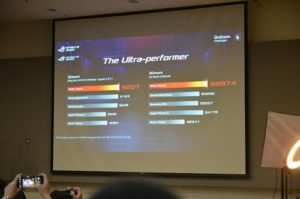 A few months ago, we asked again Mr. Shen when he was in town for the ZenFone 5 launch. This time, the tease was more of like a confirmation. 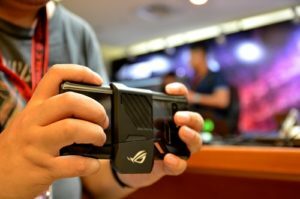 What made me have goosebumps was the reveal will happen during the week of COMPUTEX 2018. 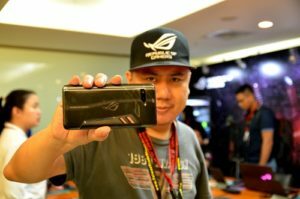 Fast forward to today at the For Those Who Dare event, ASUS Republic of Gamers has finally, officially announced the arrival of the ROG Phone! 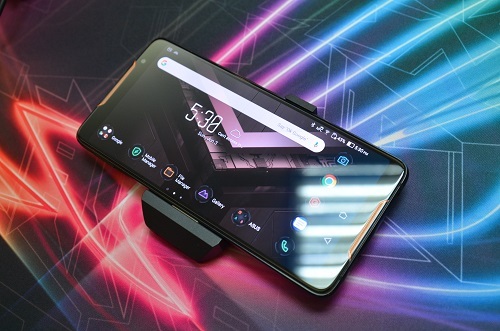 This first ROG-branded phone offers lag-free performance, efficient cooling, gaming-centric handling, and blur-free and beautiful visuals. 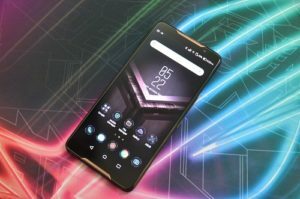 It is made of metal which feels solid and almost has the same size of the ZenFone 5Q. Screen display is 6-inches with a vivid AMOLED display with HDR visuals and 90Hz refresh rate that’s also super fast with a jaw-dropping 1ms pixel response time for a true gaming experience. 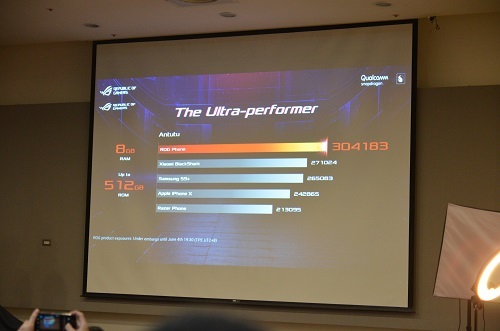 Since this is their first gaming phone, ASUS wants to make sure that they equip it with the best processor. The world’s fastest speed-binned 2.96GHz Octa-Core Qualcomm Snapdragon 845 with gaming-optimized Adreno 630 GPU is the world’s first and truly a game changer in the world of smartphones. 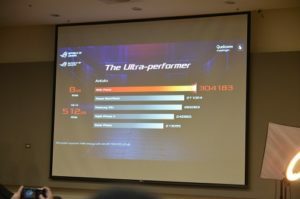 Check out the benchmark scores shared to us by the ROG Team. 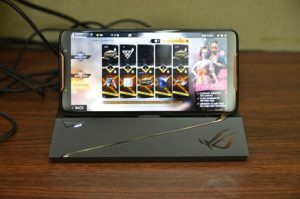 ASUS added some additional features to give mobile gamers a huge advantage to their competition. 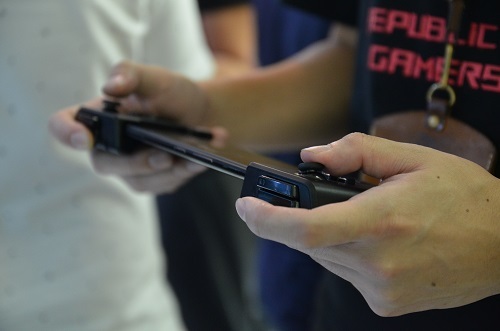 Since most games are played in landscape mode and gamers tend to use four fingers to access other controls, ASUS implemented the ultrasonic AirTrigger touch sensors found on the sides of the phone. 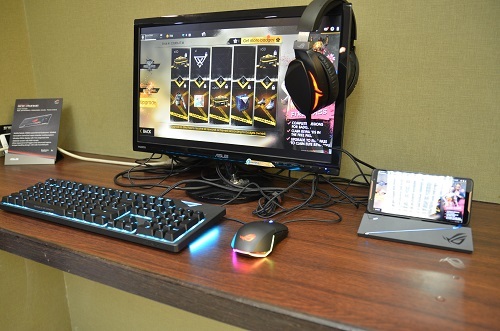 These are programmable that will help gamers plays easily comfortably without injuring their fingers. I mentioned about the ultra-fast processor and there’s a possibility that it can be really hot when playing a game with heavy graphics. The solution to this is the unique GameCool vapor-chamber cooling system comprised of a carbon cooling pad, copper heat spreader and 3D vapor-chamber cooling. 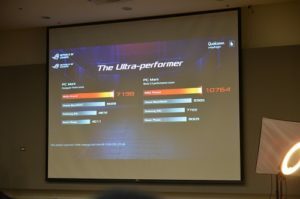 This will provide up to 60% improved CPU cooling efficiency and 5 times longer peak endurance. Also, attaching the AeroActive Cooler on to the phone will enable extra cooling boost while it sustains blur-free high frame rates. We were told that the ROG Phone will be available in the Philippines by the third quarter, so that’s not too far away. I’ll be updating more news about the ROG Phone in the near future.